We have found that most of our private collectors and interior designers, have purchased our works of art online, rather than visiting our gallery location. After three years at our current location in Bridgeport, PA, Bernard and I have decided to move our business to entirely online. We cannot take everything with us, since we are moving to a much smaller space. 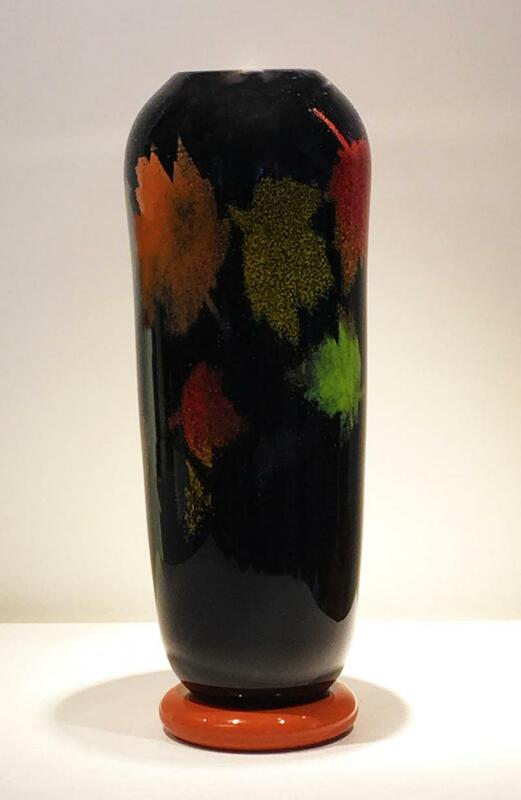 we are offering select Bernard Katz Glass pieces for sale up to 60%-70% off. For all inquiries on expediated or international shipping, contact us anytime for shipping estimates! Pricing for UPS Ground only; contact us for extra shipping fees for international and expedited﻿ shipments﻿. Colorful hand blown glass leaves falling from the trees. shown in sunset salmon color. Melange Series glass sculpture is created from hand blown glass forms. They are visually held together with a deconstructed landscape motif. 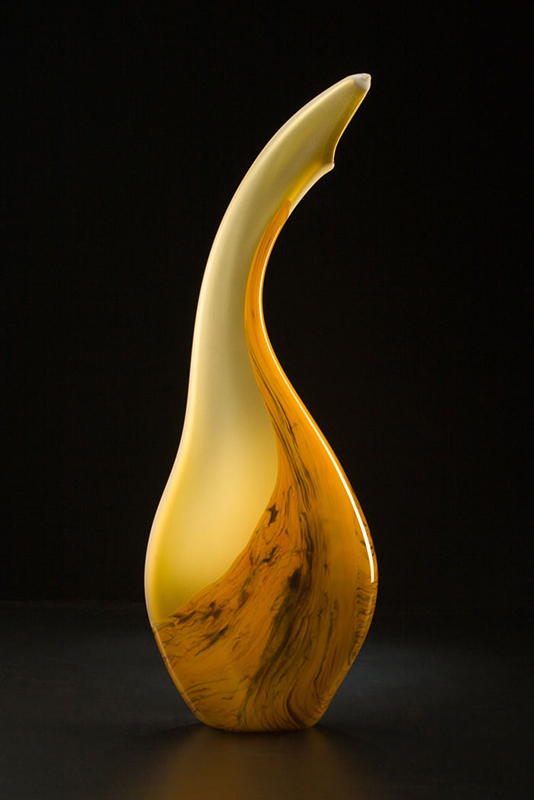 Each hand-blown glass form in this composition has been cold worked and polished. The transparent surfaces have been sandblasted. Opaque in glass color, each cinnamon form is hand blown by Bernard Katz. The balance and interaction between glass forms are rather unique. One of a kind glass sculptures in cinnamon frit color. shown in Yellow Gold color. 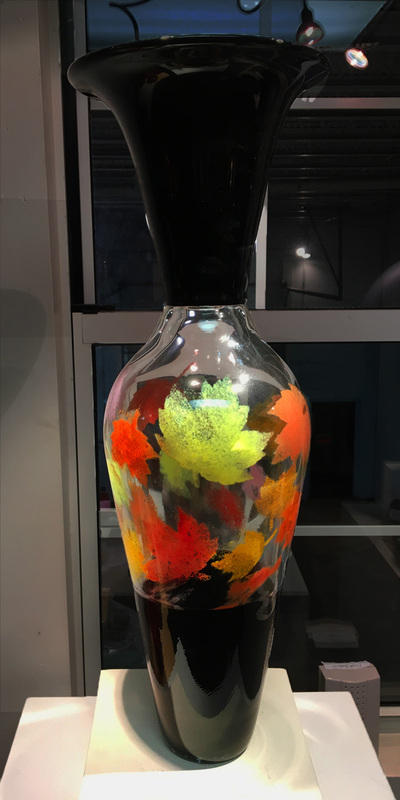 The Autumn Foliage Series of hand blown art glass was inspired by the fall colors found during autumn by Bernard Katz. This gorgeous hand blown glass vase is our Tall Encalmo Foliage Vessel from our Foliage Series. This is a one of a kind vase. An incredible work of art for your home! 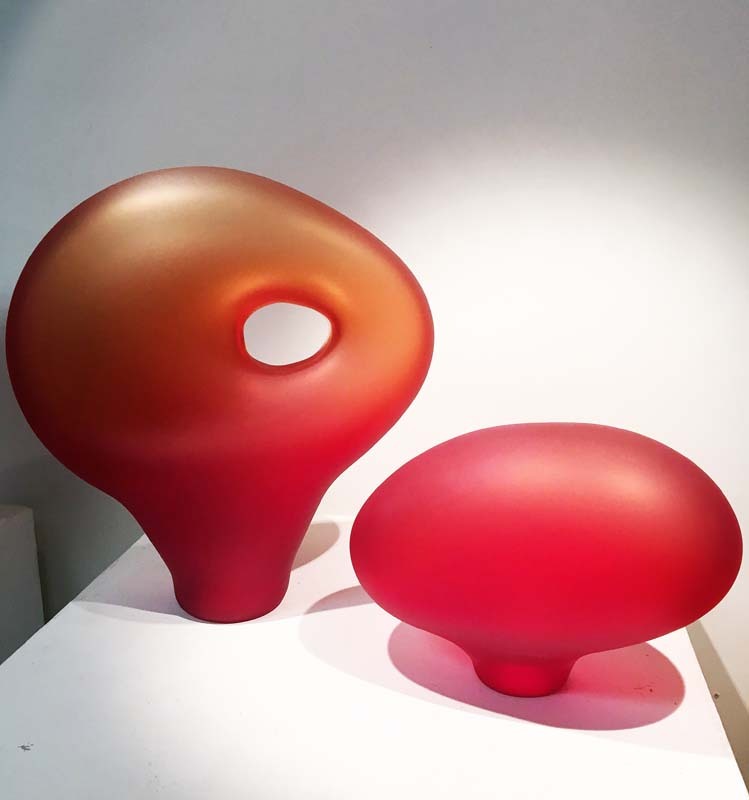 The glass sculpture, Melange Series 4, shows the communication between the two soft organic forms. These two hand blown glass forms have been cold worked and sandblasted. ﻿﻿Call us we can arrange a time that works for your schedule. Credit card payments through our website are absolutely secure, managed by PayPal. We have an excellent shipping record. If for any reason your order arrives broken, please photograph the package & breakage, and contact us for a replacement. "All three of the art glass pieces arrived today with no damage. All I have to say is OMG.....these are gorgeous! Your website does not do them justice! Thank you!"